There is a standard pre-conception that the cost of permeable pavers is expensive. This, for a large part, is due to the need for manual labor to install individual units. Belgard® Commercial has available various different pavers that are manufactured in machine installation patterns, whereby specialized equipment can install upwards of 5,000 square feet in a single work day. This automation of the installation process significantly reduces the capital costs of Belgard pavers. Entire parking lots, streets, ports & airport tarmacs have been economically constructed using this approach. 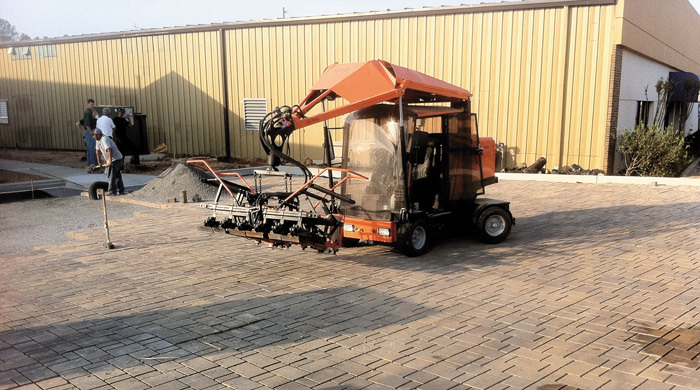 The fact that pavers are factory manufactured in accordance with ASTM C-936, Standard Specifications for Solid Interlocking Concrete Paving Units, also benefits the bottom line. Test reports can accompany the product when it is shipped onsite, eliminating the potential risk of having to replace the product due to poor quality. Once the jointing material is installed, the surface is immediately ready for traffic- no curing delays are required. The annual cost of utility cuts in the average city is in the millions of dollars. The existing surface material needs to be broken out and disposed of, the underground repairs made, and then new material used for the final patch. With each patch, the service life of the pavement is also reduced. With interlocking concrete pavements, the short term costs and long term impacts are both reduced. 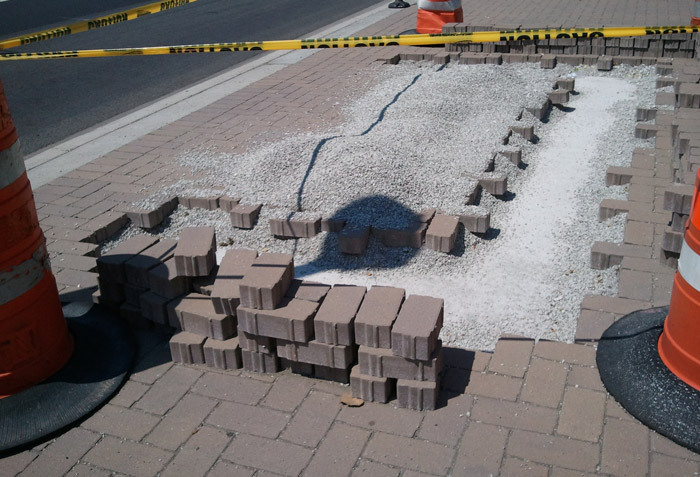 Clusters of pavers can be removed by hand - saw-cutting equipment and pneumatic jack hammers are not required. The same pavers can also be reinstated, reducing the waste disposal and replacement material costs - short term patching products are eliminated, and there are no changes to the areas overall appearance. Being a flexible pavement system with built in control joints, the pavement also has an increased ability to deal with any subsequent fill settlement .